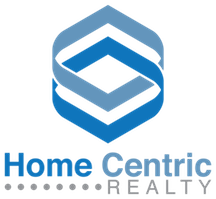 I’m interested in information about Home Centric Realty, Inc. Welcome Existing & Future Agents of Home Centric Realty, Inc. The Real Estate industry has been turned on its head with Cooperative Real Estate Home Centric's movement to Un~Franchise residential Real Estate! Today I get to share with you one of the most innovative programs that Cooperative Real Estate Home Centric brings to the table for our Realtors. Instant Income solves many of the problems faced by new and emerging associates in our industry. Do you realize that 3 out of 4 Real Estate Agents "STARVE OUT" of the business during their first two years? Too many Real Estate Agents are "part time" and working "two jobs" as they transition into the lucrative Real Estate business. We believe that a Real Estate Agent loses precious credibility and professional opportunity when they put on a Home Depot Apron, Bar Tend or Deliver Pizza's. Yet there are Ten's of thousands of Real Estate Agents working for National Franchise Brands that work Jobs outside of the industry to make ends meet. 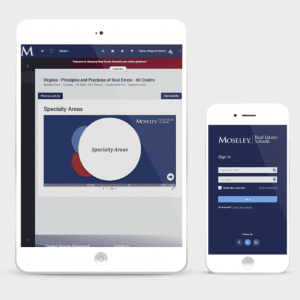 What if your Broker managed a proprietary system whereby you could earn $500-1500 per week INSIDE THE REAL ESTATE INDUSTRY? 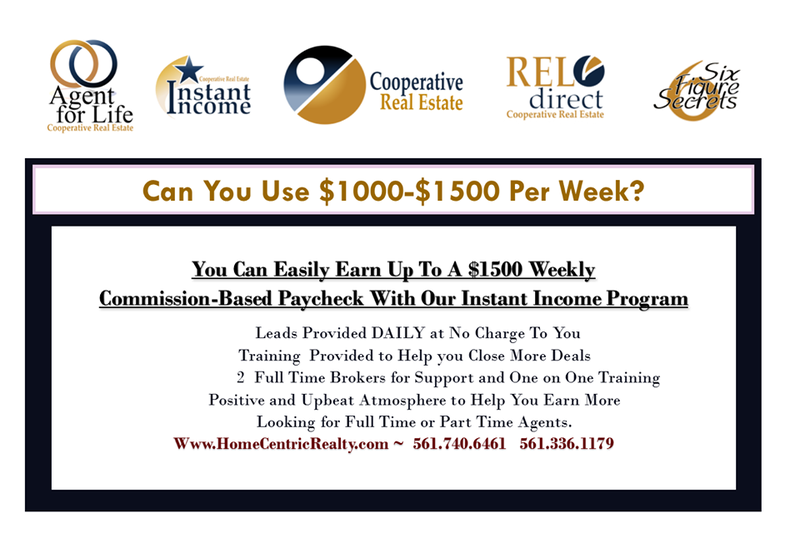 The Instant Income™ Program at Cooperative Real Estate Home Centric could be the difference that you are looking for. Imagine heading into the office and having 1-3 Families waiting for you to show them houses! These consumers are Prequalified, have a Check Book in Hand, and are eager with a Sense of Urgency to find their new home Today! The proprietary Instant Income Program gives you the power and professional opportunity to Learn More ~ Earn More ~ & Keep More while working inside the Real Estate Business. Technically the Best Real Estate Company on The Planet. - Please call 561-740-6461 to set up aconfidential interview.